What is arguably one of the most influential and far-reaching election in modern history is finally taking place today. The US is tasked with choosing its next leader who will oversee the future trajectory of the unipolar world and decide upon the countermeasures that it will take in seeking to offset the emerging multipolar world order. Hillary Clinton represents the existing neoconservative-led Establishment that has been in power since the turn of the millennium and has recently resorted to a spree of Hybrid Wars all across the world, while Donald Trump stands for a more pragmatic alternative to the ceaseless warmongering that this faction is obsessed with and offers the chance to tone down America’s militancy. It’s not to say that a Trump Presidency would be defined by peace, but just that more rational and less ideologically motivated individuals would be delegated to lead the various “deep state” (permanent military, intelligence, and diplomatic bureaucracies) components of the US. Whereas Hillary and her ilk are inclined to wage war and flex their ‘shock and awe’ military muscles, Trump is more predisposed to cutting ‘win-win’ deals and establishing relatively defined spheres of influence with the US’ multipolar Russian, Chinese, and Iranian rivals. This election is also so important because of the impact that it will have on the American People themselves. The US is undergoing a ‘Second American Revolution’, in that the very nature of the state and its relationship to the people is being fundamentally redefined. A victory for Hillary Clinton would mean that The Establishment has won out over the American People and that the endemic corruption that has infested the halls of power and business will continue unabated, while a win for Trump would “drain the swamp” by signifying that The People have finally beaten The Establishment and all of the corrupt ‘political correctness’ (the most ruthless form of self-censorship in the ‘American Democracy’) that comes with it. Trump and his supporters have consistently claimed that they have the backing of the ‘silent majority’, which they define as the bulk of the electorate which aligns with their social, economic, and governing policies in standing firmly opposed to ‘political correctness’, the ‘pay-to-play’ system of mutual elite enrichment, and wide-reaching government corruption, yet don’t publicly flaunt their dispositions due to the very same ‘political correctness’ that they’re against and their self-interested motivation to ‘hedge their bets’ in case he loses. Today is the day when everybody finds out whether the ‘silent majority’ really exists at the scale that Trump and his most vocal proponents say they do, as well as whether the online and in-person rally enthusiasm of Trump’s supporters will actually translate into real votes. Both candidates are fighting to achieve the greatest crossover appeal from their opponent’s most traditional demographics. For Trump, this means that his campaign has sought to court blacks, Latinos, homosexuals, and anti-systemic Bernie Sanders supporters who feel that they have lost out during Obama’s eight-year-reign and are disgusted at the thought that a woman as corrupt and dangerous as Hillary Clinton might seize the highest office in the land. Contrarily, Hillary has done her best to appeal to whites, Christians, and rural folks who are outraged at Trump’s incendiary ‘politically incorrect’ language and have been brainwashed by the Mainstream Media into thinking that he’s the epitome of ‘fascism’ and constitutes a ‘loose cannon’ who might carelessly launch a nuclear strike over a Twitter argument. 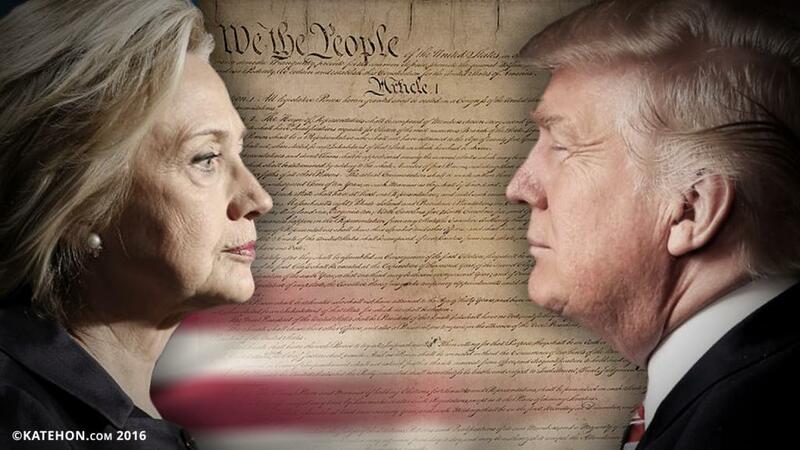 In essence, the crossover appeal that each candidate has is the result of their affiliated information campaigns, with Hillary controlling The Establishment’s Mainstream Media while Trump has gone viral on alternative and social media platforms. Trump’s base is generally more enthusiastic about his candidacy and less likely to ‘defect’ than Hillary’s is, which is why she’s spent so much time in traditionally Democratic-leaning states than he has in Republican-leaning ones. Ultimately, it will all come down to the turnout from each respective demographic and whether or not either of the candidates is able to effect a game-changing outreach to their rival’s base in convincing a statistically significant number of them to ‘abandon’ their traditional or presumed bastions and join ‘the other side’. Moreover, Trump especially needs to retain the Caucasian vote in order to avoid a Romney-like loss this time around, since if he ‘bleeds’ more of his base than he gains from the Democrats’ ‘defectors’ or if they decline to turn out like what happened in 2012, then he’ll inevitably lose, but all indicators point to a record turnout among this demographic that will likely play out to his favor. An overlooked aspect of the 2016 campaign has been that former CIA agent Evan McMullin has been quietly trying to sabotage Trump’s possible Electoral College win by aggressively trying to win Utah. This Mormon member of the “deep state” has absolutely zero prospects of becoming President, but in a neck-and-neck race between Trump and Hillary, if he can succeed in winning the ‘protest vote’ and thus denying Trump the state’s 6 precious electoral votes, then he could decisively swing the election in Hillary’s favor. The only way to counterbalance this would be if Trump ‘steals’ some ‘blue states’ to cancel it out (Nevada – 6) or override this surprising gain (New Mexico – 5 and New Hampshire – 4). It can’t be ruled out that the Hillary-supporting “deep state” will resort to illegal activity in their frenzied quest to install their proxy into power, and a recent investigation into “Fraction Magic” reveals the surprisingly simple technical methodology that could go into this process. It’s foreseeable that the active participation of third-party candidates Jill Stein and Gary Johnson in this election might result in the eventual Democratic or Republican winner falling short of the 50%+ popular vote majority needed to ‘normatively’ solidify their seat in the Oval Office, meaning that the next President of the United States might be the person who clinches the largest plurality. It’s happened on several occasions that the winner of the popular vote didn’t always become President because of the peculiarities of the Electoral College system and other situational factors from each individual case, but it would be a Bush-like scandal if the second-place finisher with the largest plurality (in that neither frontrunner wins 50%+ of the popular vote) somehow ends up strategically translating their gains into an Electoral College victory. Given the enthusiasm that Stein and Johnson have been able to produce on social and alternative media, and especially if they’re able to court the disgruntled Bernie supporters who are shocked that their political hero so shamelessly sold them out, then the above scenario of the largest plurality is indeed possible and could also herald in a watershed event whereby third-party candidates thenceforth become a pivotal part of American presidential politics. The last thing that everyone needs to keep an eye on is how each side’s most zealous supporters react if their favored candidate loses, especially if it’s due to controversial circumstances such as suspected voter fraud or some similarly scandalous unforeseen scenario. Trump is backed by many rural militias who won’t hesitate to make a Bundy-like stand if they truly feel like they and the rest of the country’s ‘silent majority’ were cheated by The Establishment. On the other hand, Hillary Clinton is allied with the Soros-funded “Black Lives Matter” urban insurgents and associated hodgepodge of criminals who have already proven on numerous occasions that they’re more than capable of sowing chaos in America’s inner cities. Thus, the country might be thrown into turmoil if neither candidate decisively wins under clear and unquestionable circumstances, as Trump’s most gung-ho backers might be inclined to occupy federal property in the countryside while Hillary’s could wage unprecedented upheaval in riotously destroying private property all across America’s urban environs.